Super Bowl LIII will take place on Sunday, February 3, at Mercedes-Benz Stadium in Atlanta, Georgia. It pits the New England Patriots against the Los Angeles Rams; the winner will be the champion of the 2018 NFL season. The Boston Globe reported this week that the average ticket price is $7000. So unless you’re an exceptionally high roller, our guess is (like us) you’ll be watching the big game from the comfort of your own home where the food is infinitely better and the lines for the restroom much shorter. 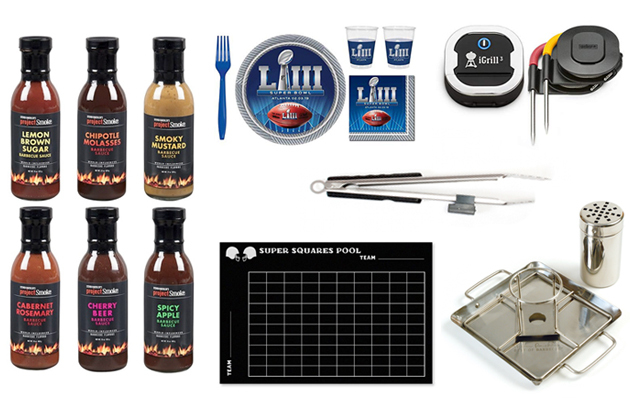 We’ve compiled a list of a dozen items, from grilling equipment to rubs, that will help you enjoy your own party even more. And our next blog will feature our favorite game day recipes. 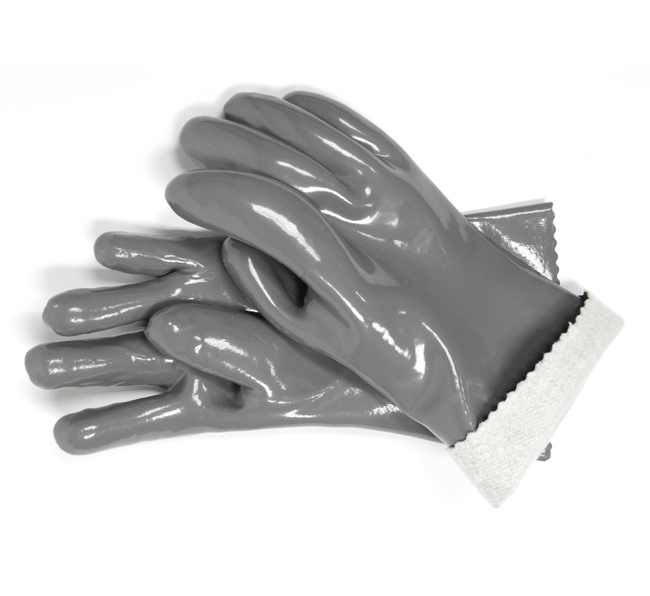 Whether pulling pork, handling a whole packer brisket, or removing beer can chicken from its throne, these flexible rubberized food gloves will protect your hands from the hot food. You’ll wonder what you did without them. This long-time customer favorite (with 5-star ratings on Amazon) has contributed to hundreds of delicious meals over the years. The design of this rack makes the process easier and virtually fail proof. Square construction gives you greater stability. The bird won’t tip and beer won’t spill. All stainless steel, so it will not react with food. Metal holder adapts to both beer cans and the included unique stainless steel canister, which you can fill with wine, fruit juice, or other flavorful liquid. 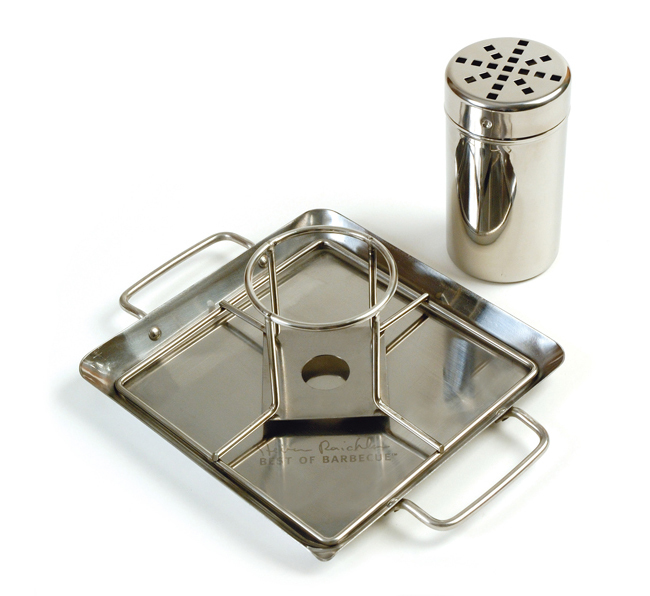 Metal drip pan collects meat juices for sauces and prevents dripping fat from erupting into flare-ups. Use in the oven or on the grill. The Steven Raichlen Best of Barbecue Beer-Can Chicken Roaster Rack is also dishwasher safe for easy clean-up. 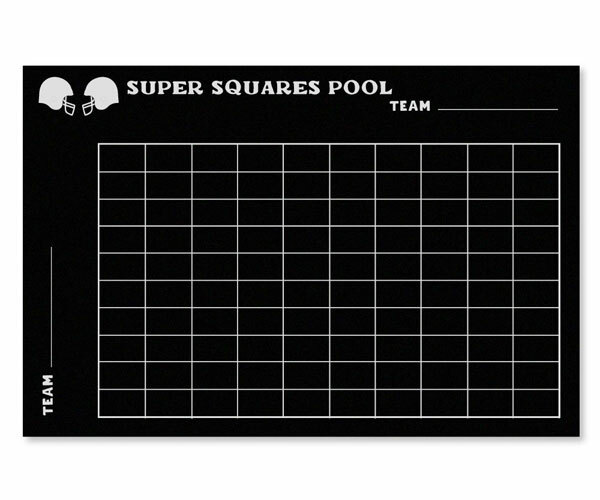 This large erasable grid is easy to read, enabling you and guests to keep tabs on winners in the all-important Super Bowl pool. Its sticky peel-off backing enables you to stick it to any flat surface, such as a wall in your TV room. It will leave no residue on the wall and can easily be repositioned or reused for subsequent parties. Fill in the blocks with liquid chalk (not included). 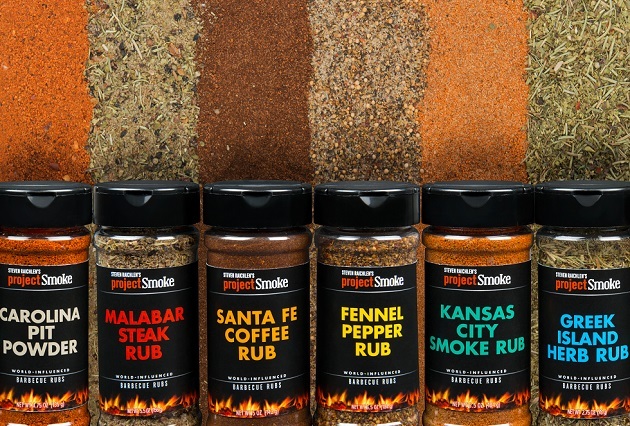 Steven has consolidated his knowledge of the world’s barbecue cultures in this set of 6 flavorful rubs. Sprinkle them on pork shoulder or pork or beef ribs, brisket, burgers, lamb chops, smoke-roasted potatoes, or chicken wings for the best tailgate-appropriate food around. Included are Carolina Pit Powder, Kansas City Smoke Rub, Santa Fe Coffee Rub, Fennel Pepper Rub, Malabar Steak Rub, and Greek Island Herb Rub. Rubs can also be purchased individually at select Ace Hardware stores. 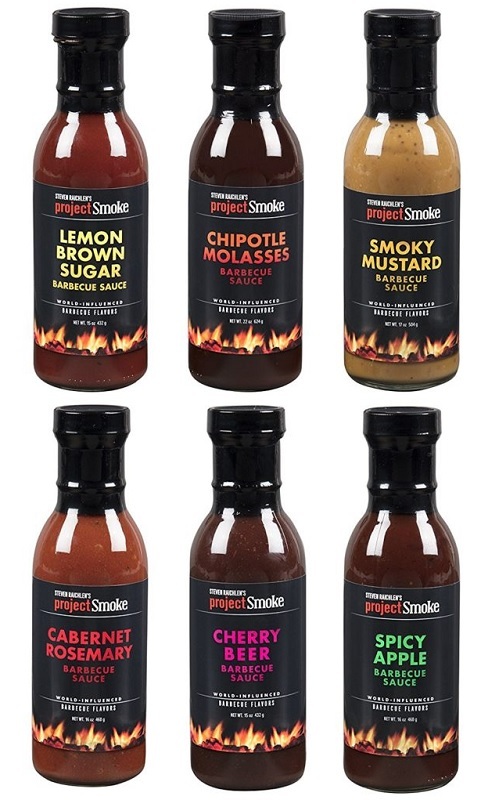 Following the popularity of Steven Raichlen’s Project Smoke Spice Rubs, you can now enjoy 6 new barbecue sauces: Chipotle Molasses Sauce, Smoky Mustard Sauce, Lemon Brown Sugar Sauce, Cabernet Rosemary Sauce, Cherry Beer Sauce, Spicy Apple Sauce. It’s been our MVP for years. 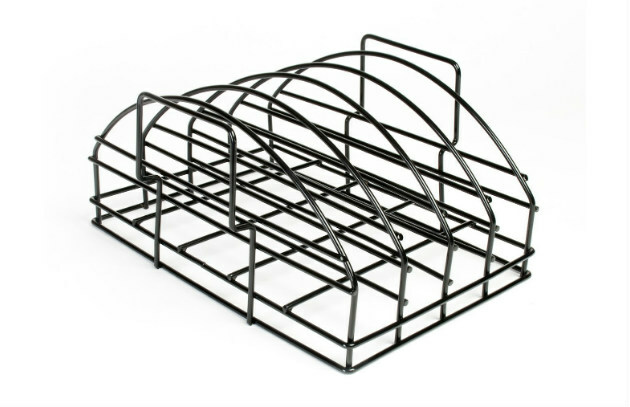 This thoughtfully designed rib rack will dramatically increase the amount of real estate on your grill grate by accommodating four racks of ribs in the space normally occupied by one. Ribs practically baste themselves. And its sturdy metal nonstick surface is easy to clean (hand wash, please). The Spanish call it la plancha. Argentinians call it la chapa. Steven calls it the best way there is to cook Spanish-style seafood and veggies over a wood, charcoal, or even gas fire. Our cast iron griddle gives foods a crusty, smoky sear while keeping them succulent on the inside. The plancha is excellent for delicate fish, shrimp, vegetables—in short, anything that tends to break apart or dry out on the grill. The big game won’t start until after dark. Tongs with a built-in flashlight? Genius! It’s true: A powerful halogen flashlight is attached to one arm of the tongs to illuminate whatever’s on your grill or smoker—particularly useful during fall and winter’s shorter days. (The flashlight can be easily removed when it’s time to wash the tongs.) Insulated Bakelite handles and a locking mechanism add to the tongs’ appeal. The Igloo Party Bar features the Lidd Up LED light system—16 water-resistant, heat-free lights that illuminate the cooler’s contents when darkness falls—letting thirsty guests find what they want quickly. This large cooler anticipates your every merry-making need, from a removable lid and drink dividers to mobile-ready locking casters on a detachable base. Operates on four AA batteries (not included). Useful not only for beverages, but for resting meats like brisket and pork shoulder. 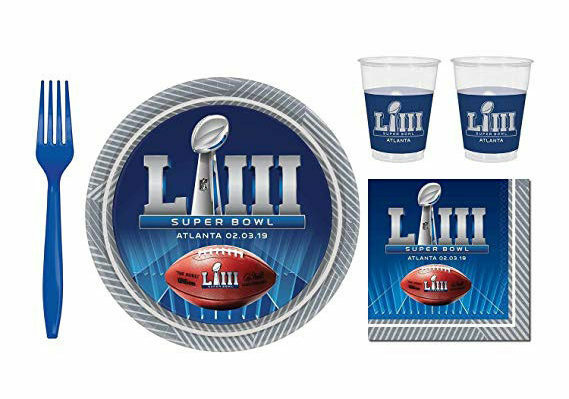 Plates, napkins, and glassware for 24 are emblazoned with the Super Bowl 53 logo. Disposable forks are included, too. Because the last thing you want to do once they’ve turned out the lights at Mercedes-Benz Stadium in Atlanta are dishes.